(SPOT.ph) Homegrown Chinese restaurant Tuan Tuan has achieved a lot of milestones in 2018. 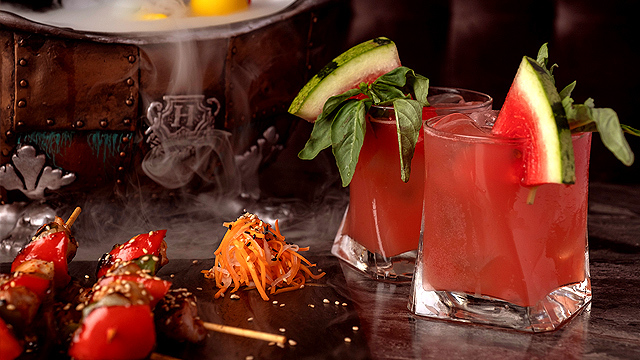 Not only did they launch an all-you-can-eat promo that proved to be a huge hit, but they've also opened their first international branch in Melbourne. Plus, it's also their fourth anniversary! 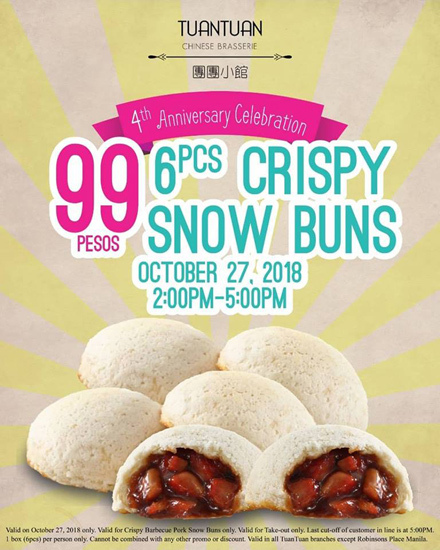 To celebrate, they're slashing the price of a menu item we can all agree we love the most: Their Crispy Snow Buns, which you get for only P99 on October 27, from 2 p.m. to 5 p.m. 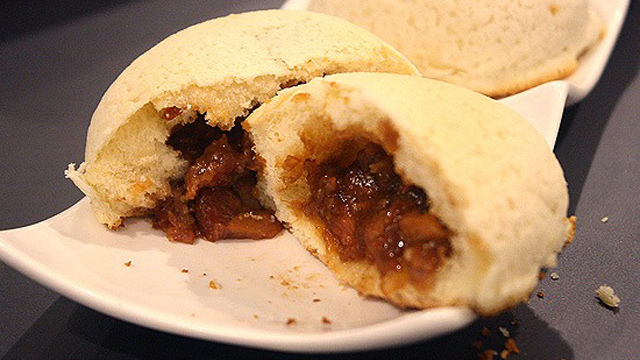 There's a reason why this snack is a favorite: It currently ranks number one on our top 10 pork buns list for its pillow-soft buns that has a satisfying crunch from streusel. 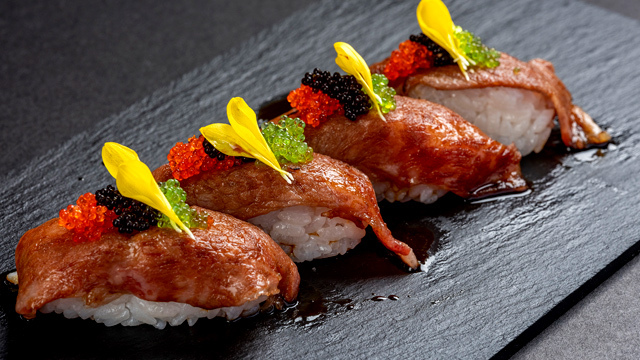 It's also stuffed with lip-smacking and succulent char siu. We're sure these will fly off the shelves so better get yours quickly! See a list of Tuan Tuan branches.